* Special Need Emma is 2 ½ years old and is still sleeping in a travel crib. We need a bunk bed for the girls and I project it to cost around $500 including mattresses. Please let us know if you can help us with this. You can send a financial donation; click here to see how. * Direction for youth ministry. We are continuing to move right along with change. For the past few months, we’ve had an Intern, Luis Vazquez, helping us and he’s done a great job. He will continue to help with the youth group as well as many other areas in the church. We have a number of great student leaders and it’s exciting to see that there has been so much growth in the past couple of years. My role continues to move towards an overseer instead of “Youth Pastor”. I’m really excited about what God is doing. Please continue to pray for this ministry. * Worship Ministry. I have been praying for a long time for a worship leader to be raised up. We have had a few students lead for a while, but consistency depends a lot on maturity. Please pray with me as I believe the Lord has something around the corner for us in this area! * 8th Anniversary. 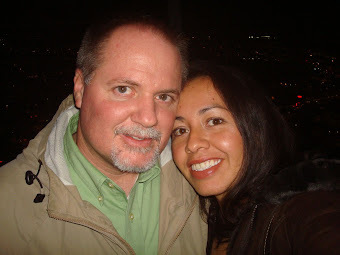 Geña and I will have been married for 8 years on November 18. Thank you so much for your prayers over our marriage and family!